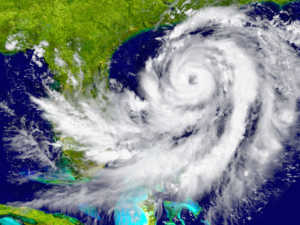 The National Oceanic and Atmosphere Administration (NOAA) defines an average Atlantic hurricane season as having 12 named storms, six of them hurricanes. Earlier this year, Colorado State University researchers opined there would be 14 named storms this year, with seven of those hurricanes. Last year was one of the most active hurricane seasons on record. Four of those hurricanes were so massive in their destruction, their names were retired by the U.N. World Meteorological Organization (WMO). Those were Irma (Florida), Harvey (Texas), Maria (Puerto Rico) and Nate (Caribbean). The disruptions to logistics, agriculture and energy were major, including millions left without power, huge crop losses and critical ports abruptly shut down operations. The Port of Houston (again, one of those in On Time Delivery & Warehouse’s network) was closed for a full week post-Harvey, resulting in critical shipment delays some suppliers reported lost them millions. Kettering University (which offers a Master’s of Science in Supply Chain Management) opines the supply chain headaches caused by Hurricanes Harvey and Irma are likely to prove instructive for risk chain managers for years to come. You cannot afford for your the company managing your supply chains to be caught off-guard by these events. Knowing which routes, ports and warehouses are likely to be impacted is necessary to crafting the best alternative options. Although such contingency plans may not account for every possibility, they’ll give you a good chance of minimizing losses. It might not be an option to relocate physical sites like warehouses and factories during the storm season, but transportation firm assets and equipment may need to be moved as soon as there is reliable information regarding when/ where a major storm will make landfall. Supply chains also need to account for the fact that sometimes emergency response measures can lead to backups and delays. Our clients have discovered that having a responsive, prepared and communicative Cleveland 3PL is crucial in times of crisis. If you have questions about Cleveland supply chain management, contact On Time Delivery & Warehouse by calling (440) 826-4630 or sending us an email.